Every individual matters. Every individual’s needs matter. Every piece of the puzzle in your life matters. This caring mindset is backbone of maCares, an organization that is dedicated to ‘helping service dogs help others’ by improving the quality of life for veterans, children, and adults. Service dogs allow those experiencing hardship to have a companion 24/7. Service dogs have the ability to boost your overall well-being and help you to try and live a normal life.. Since its inception in 1998, maCares has changed the lives of countless individuals and has flourished for over a decade. Deciding that they wanted to have a bigger impact on the community, in 2012, maCares established its 501c3 status (nonprofit), which meant that the company can raise funds to support significant causes in the community. maCares has been involved or started various charitable projects over the years. The maCares Service Dog Support Program relieves the financial burden of caring for a service dog so the recipient can focus on trying to live a full and productive life. The covered expenses include initial and re-certification training, veterinary, medications, grooming, and daily care including food. Their flagship program, faith Cares, is focused on providing financial assistance for service dogs of veterans who have sacrificed so much for our country. faith Cares even has a spokes dog – FAITH! In order to assist homeless, neglected, or abused animals in the community, maCares also established the maCares Animal Relief and Emergency Services Fund to help with the cost of emergency services and special care needed for rescued animals in the care of Red Dog Farm Animal Rescue Network. Besides the ongoing projects, maCares has two upcoming charitable events at the end of the summer: The AGMC’s Inaugural Memorial Ride and Inaugural maCares Tribute 5K Run/Walk. Event shirts and breakfast Items will be available for purchase. For those who are unable to attend, you can become a Virtual Supporter by donating to www.maCares.org and clicking the Please Donate button. Join the Facebook Event as well. 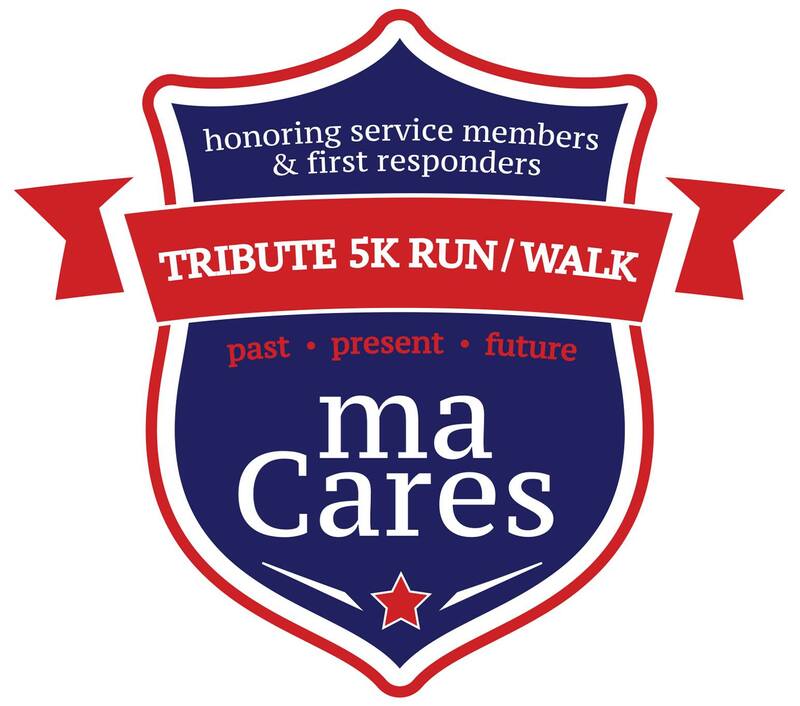 The Inaugural maCares Tribute 5K Run/Walk is a timed event on September 9, 2017 at Country Park/Jaycee Park in Greensboro to honor service members and first responders from the past, present, and future. 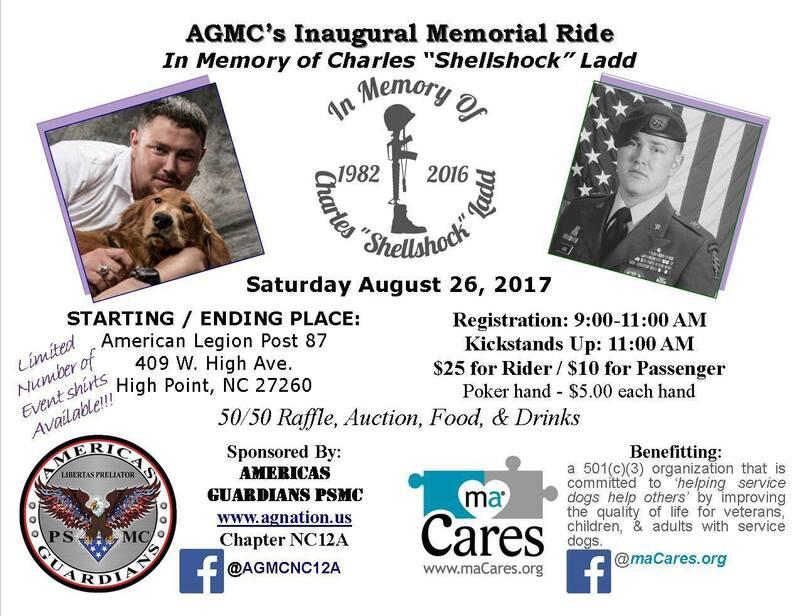 All proceeds will support the maCares & faith Cares Service Dog Support Program. Strollers and friendly, leashed dogs are welcome. Enjoy the opening tribute ceremony and your choice of a 5K run or 2.5K walk, followed by an awards ceremony, food trucks, and exhibitors. To sign up for this event, please visit https://runsignup.com/Race/NC/Greensboro/maCares5K. To learn more about maCares or to make a tax deductible donation, please visit www.maCares.org. Join the Facebook Event as well. 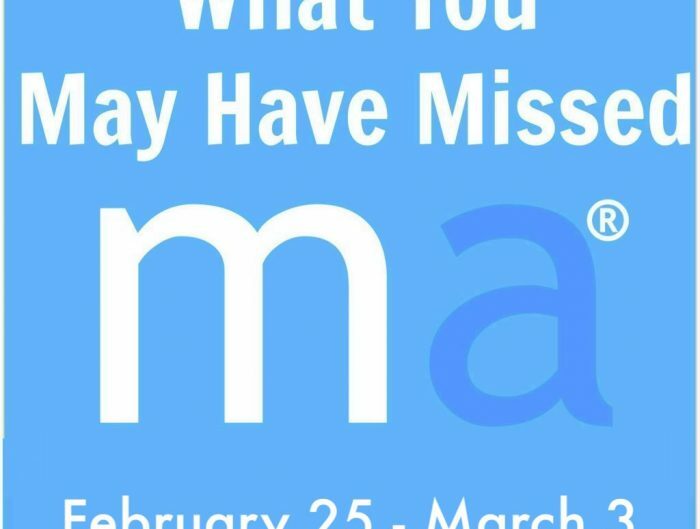 For more information of maCares, visit their website at www.macares.org.